Mardi Gras comes to San Francisco. MARDI GRAS: The 13th Annual San Francisco Mardi Gras Ball will launch at The Independent, 628 Divisadero St.in San Francisco, at 9 p.m. 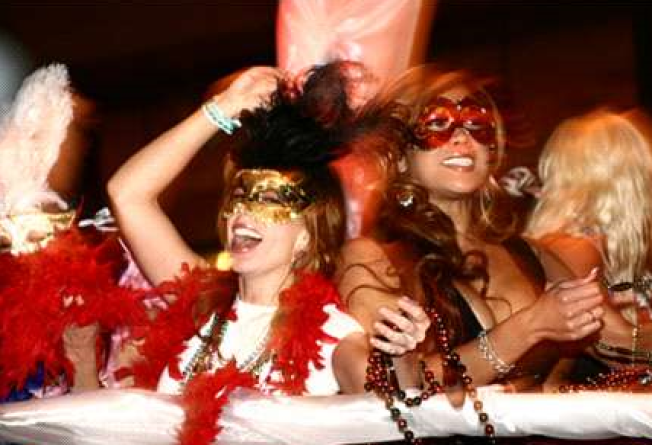 The rhythm and spirit of the bayou comes to San Francisco for a blowout Mardi Gras Party. Tickets are $20 in advance and more information can be had on Sunset Promotion's Web site. LAUGH OUT LOUD: Hasan Minhaj is the featured comedian at the Callbox Comedy Show at the Punchline Comedy Club, 444 Battery St. in San Francisco. Tickets are $15 at the door. GET FAT FOR A GOOD CAUSE: Go eat some pasta at Pasta Pomodoros across the Bay Area and help save lives in Afghanistan. For two nights only, starting tonight, the popular Italian chain will donate 20 percent of food sales to transform land mines into vines in Afghanistan.